→ Blog → After Iran deal, imported Persian rugs reach L.A.
After Iran deal, imported Persian rugs reach L.A. The call came in to the rug store at 10:30 on Wednesday morning: After five days in U.S. customs, the shop's first batch of carpets imported from Iran were ready for pickup. Store owner Alex Helmi quickly gathered his employees and told them to drive to the airport to pick up the shipment: 40 handmade rugs valued at about $500,000. A 2010 embargo on Iranian-made rugs has meant tough times for sellers such as Helmi, who found his carpets caught up in a clash of geopolitics and nuclear brinkmanship. 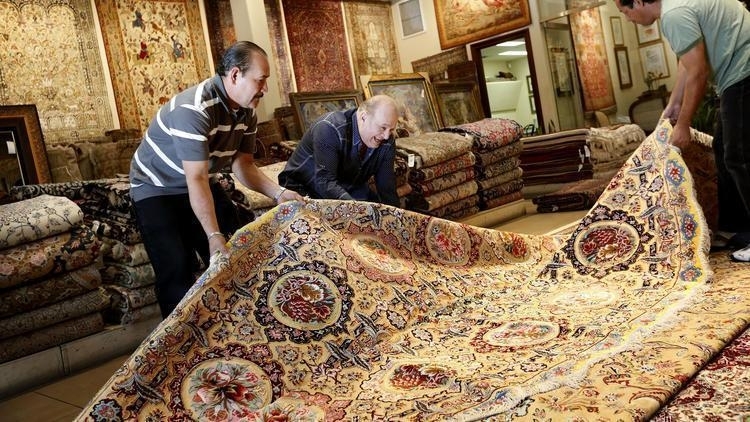 Last summer's landmark international nuclear agreement, however, paved the way for importing rugs once again in what was once Iran's largest foreign market. Iranian and U.S. officials announced last month in Vienna that Iran had complied with the terms of the deal to dismantle its nuclear program and that the sanctions that have crippled the nation's economy would be lifted. The move granted the Iranian government access to more than $50 billion in frozen assets and oil revenue. Great collection of <a href="http://arthide.co/">rugs</a> for larger area..
16 1 Great collection of <a href="http://arthide.co/">rugs</a> for larger area..